A professor in Virginia Tech's College of Science wants to power planes and cars using energy stored in their exterior shells. 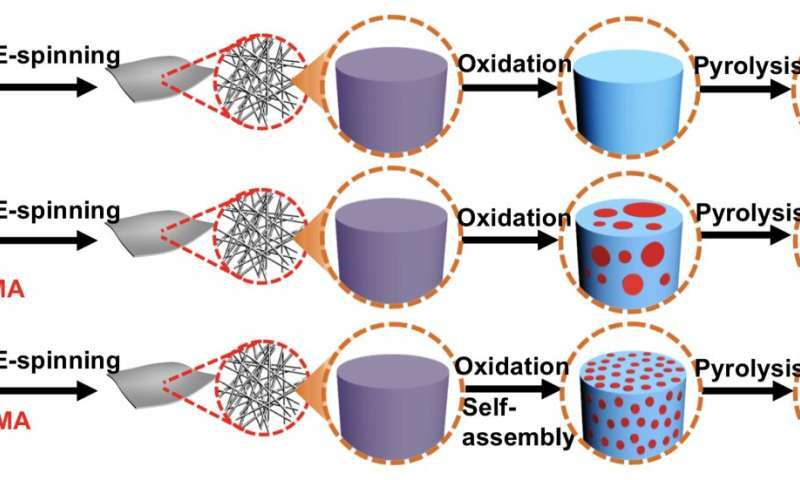 He may have discovered a path toward that vision using porous carbon fibers made from what's known as block copolymers. Guoliang "Greg" Liu, an assistant professor in the Department of Chemistry, conceived the idea of creating carbon fibers that wouldn't only be structurally useful; they would also be functionally useful. "What if we can design them to have functionality, such as energy storage?" said Liu, also a member of the Macromolecules Innovation Institute. "If you want them to store energy, you need to have sites to put ions in." "Making porous carbon fibers is not easy," Liu said. "People have tried this for decades. But the quality and the uniformity of the pores in the carbon fibers were not satisfactory. "We designed, synthesized, and then processed these polymers in the lab, and then we made them into porous carbon fibers." Liu used a multistep chemical process using two polymers—long, repeating chains of molecules—called polyacrylonitrile (PAN) and poly(acrylonitrile-block-methyl methacrylate) (PMMA). Liu came up with the new idea of bonding PAN and PMMA, creating what is known as a block copolymer. 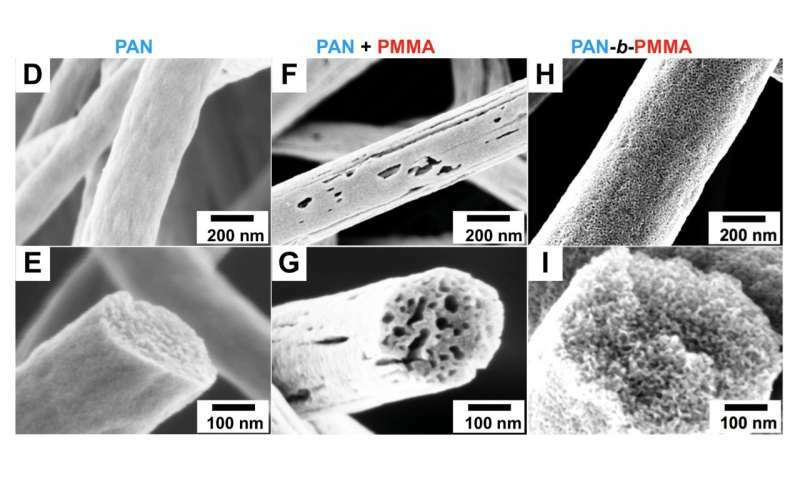 One half of the compound polymer is PAN, and the other half is PMMA, and they're covalently bonded in the middle. the uk military came up with a similar idea . proof of concept was achieved . Glad to be a carbon-based lifeform. Using reinforcing carbon fibre both as part of a composite material and electrode in lithium ion structural battery could see major improvements in electric vehicles and aircraft..."